June is National Homeownership Month! The purpose of this month is to affirm the joy and benefits of home ownership. Owning a home is a big step in anyone’s life! This month is dedicated to celebrating Americans who have succeeded through hard work and determination to become homeowners. It’s a time to celebrate people achieving the American dream of owning a home. Owning a home comes with so many benefits! You have a place to call your own. A place you feel safe. A place you can be proud of. A place you feel your most comfortable. A place to raise a family or host guests. A place to make memories! When you own a home, you aren’t just investing in yourself and family, you’re investing in your community and the national economy. Owning a home changes your life. It is an investment that helps build your personal wealth. It’s a large asset and can help with financial security. As a realtor team, Sue and Tom Demogenes, (we) want to help their clients achieve their hopes and dreams by helping them find a home that suits their needs, wants, and budget. Sue and Tom want to help homebuyers realize they can have and find a place to call their own – home ownership is achievable! Being National Homeownership Month, now is a great time to talk to your family, friends, and even realtors (ask us anything) on the benefits and value of owning a home! Sue and Tom can let you know what other clients reasons were for buying a home. Thinking about buying a home? It’s always a good time to start the search. 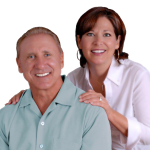 Let Sue and Tom Demogenes help you find your dream home today. Let us help you find a home in Cape Coral or another Southwest Florida city. We can tell you what our clients think about buying a home, and share with you the benefits of buying a home in this area. To search properties in Cape Coral or to contact us, visit our Cape Coral waterfront home page or call 239-357-6118. Time to find your dream home in paradise today!